Back from the Maine comics festival, which was short and oh so sweet. 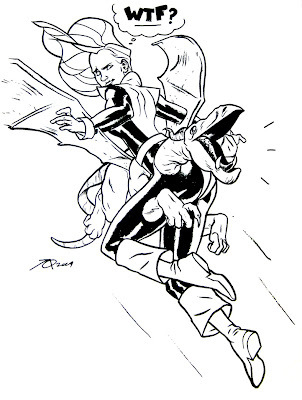 Here's a Kitty Pryde commission I did while there. Thanks for doing the commission, Joe. No problem. Thanks for asking! Really any chance I get to draw Ms. Pryde is always exciting. She's one of my favorite X-men.